we'll get your eternity secured for you. auditor in the entire Ideal Org! because isn't he the only auditor in the org? to cost. And why is it called the Clear "intensive"
anyways when have to buy all those other "intensives"? The total is going to be 29,999 dollars. I'll need those charge cards now. find out if I really went Clear? Rundown is in your special package too. Yeah, I meant to ask you about that. WTF is a Stability Rundown? ever get sick again for the rest of eternity. Isn't that just the PTS Rundown with a new name? "...a Clear does not get colds"? 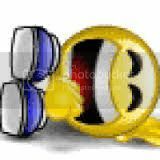 not have my Stability Rundown yet. Ron said Clears never get a cold? is composed of MEST, therefore it is on the 6th dynamic. Clear why do you have a cold? you get sick, reactive and abberated. it much better when you are a Clear. I came across a book entitled "New Religions and the Theological Imagination in America". It's basically saying the same thing as you. The implication being that a Clear that didn't happen to be occupying a body would not ever get sick. But because it is still necessary to occupy a body until reaching that OT level where the body becomes an impediment (as with Ron, due to the advanced research he began in 1986), the Clear still can get sick. But why blame sickness on the body?? According to LRH, the body is only sick because the thetan is connected to an SP and so became PTS. The thetan is responsible for his own PTSness and sickness, not the body. Their explanation in the Scientology Catechism totally doesn't make sense. But it's Scientology, so it doesn't have to. The single sole source of all psychosomatic illnesses and sickness is the reactive engram bank. This leads to hundreds of thousands of dollars handling the "being". Eliminating the reactive engram bank makes it so the "being" can't get sick. All injuries and illnesses and sickness are caused by PTS to SPs. This leads to hundreds of hours and actions handling ethics (the "being") and others. It can and frequently does lead to hundreds of thousands of dollars of various handlings. Eliminating the PTS sit and the SP makes it so the "being" can't get sick. In the end the "being" is sick of L Ron, Scientology and handlings. 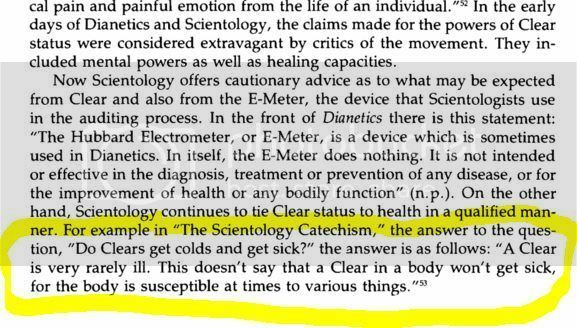 Eliminating L Ron, Scientology and handlings cures the "being" of this peculiar ailment. It's true! After I left the cult my episodes of becoming sick decreased dramatically. One could say I was PTS to the cult and lrh. I used my remote viewing skills to observe some of the original research that Ron did back then. Here's a picture of him auditing one of those 270 original research subjects. Well, I have to admit, I've never heard a tomato sneeze. So, let's review, shall we? When a Clear gets a cold that Clears never get (i.e. "Clears do not get a cold" -LRH) they really don't have a cold--because the body has the cold. So even if the body is sick with a cold, the Clear doesn't have a cold. Ergo, if the Clear dies of cancer, the Clear didn't actually die of cancer. Only the body died of cancer. I suppose by this reasoning, the Clear could be winning and writing success stories while they are dying of cancer. One day, ages ago I got my hands on what I considered a very juicy list of CIA assets. David Miscaviges name was on it. I never stole that stuff...my hand did it. I never said that...my mouth did. I never raped that woman...my weiner did it. I can attest this is all true as I checked out all their research in depth and even attempted to replicate some of their studies. Don't laugh, this actually happens. I know someone who came back from doing OTIII and they were sick for a month. When he was asked about it, he said he was doing great but the MEST body was still getting used to things What??? OK you start the thread. I used to reproach myself for every single physical failing, felt I wasn't making the grade. Yesterday the Cult sent me another Fake Threat letter. The language was so wild, it did not sound like it came from a Law Office but Donkey Lawyer Burt Deixler signed it. Here is the tissue of Lies. We have been engaged as litigation counsel by Mike Jones. Mr. Jones, as you well know, is a Minister of the Church of Scientology and has been for many years. Please accept this assurance that Mr. Jones has made this life and religious choice knowingly and as matter of his absolute free will. He stands by and is well satisfied with his choice. Notwithstanding the life and religious choice Mr. Jones has made, we have learned that you and co-conspirators Sirens Media…Phil and Willie Jones…and others presently unknown have agreed to engage in and have committed overt acts, including a series of tortious and criminal acts, in furtherance of the conspiracy to violate his privacy and to hold him out to his peers, friends and the public in a false light. Such conduct violates statutory law, case law and Article I, Section 1 of the California Constitution. And why have you violated Mr. Jones rights? To attempt to make money in a fake reality television program! If you had the capacity, you would be ashamed. Your disgraceful acts, and those of your conspirators prove, however, that you are not capable of being ashamed. Let me summarize some of the misconduct you and your conspirators have engaged in with the goal of enriching yourselves at the price of humiliating Mr. Jones. First, you have created, disseminated and posted handbills with Mr. Jones name and likeness without permission and with the legend “MISSING” emblazoned. The handbills were delivered and posted in and around where Mr. Jones provides his religious services and resides. When delivered you and every single one of your co-conspirators fully knew that Mr. Jones was not “missing.” You and every single one of your co-conspirators knew that Mr. Jones was resident at a facility operated by the Church of Scientology and was engaged in his services as a Minister of that Church. What was “missing” is any sense of respect for his religion and his freedom to choose the path he wished for his life. You should be ashamed. But, that’s not all. Not only did you seek to invade Mr. Jones’ privacy and hold him in a false light for the amusement of a television audience and for your private financial enrichment, but you and your co-conspirators doubled down on your lie and made a false police report that Mr. Jones was “missing” and or held against his will and that locating him was a police emergency. This, lie, intended to generate police activity to generate footage for a television show, of course violates the California Penal Code. You should be ashamed. But that’s not all. Based upon the false report, the Los Angeles Police Department officer believed it best to have Mr. Jones call his parents. Imagine, a 42 year old man forced to call his “mommy and daddy” for the amusement of a television audience so that you and your conspirators could make money. This waste of taxpayers’ money and a police officer’s time of course led to the prompt conclusion that you and your conspirators had made a factually baseless report. You should be ashamed. But that’s not all. Not content with merely lying to the police, after lying to the friends, peers and passersby near the Church of Scientology, once again you and your conspirators upped the ante with the goal of humiliating Mr. Jones. This time it was a false report to the State of California Adult Protective Services that Mr. Jones was being held “against his will” and that he was “injured.” This lie to a governmental agency is itself another crime. And the goal of creating another “incident” in furtherance of the goal of making money from a television program was furthered by a Social Worker paid by taxpayers forced to waste his time and the taxpayers’ money interviewing Mr. Jones. Of course, this lie led the Social Worker to conclude that the allegation was factually baseless. A waste of a public employee’s time and of the taxpayer’s money. And why? because you and your conspirators wanted to make money by humiliating Mr. Jones by invading his privacy and holding him in a false light. Do not comfort yourself with the lawless notion that you and your conspirators may interfere with Mr. Jones’ adult and knowing decision to pursue a religion and lifestyle of his choosing by claiming that it is a “rescue,” or an “intervention” or a “deprogramming” or some other cover story to conceal your malicious purpose. Such conduct has long been held unlawful in California when the conduct is directed toward adults. Mr. Jones is fine. Mr. Jones does not want to be “rescued.” Mr. Jones doesn’t want to have anything to do with you, your conspirators or anybody else who will seek to invade his privacy. And please understand that the law is long and well established that such “rescues” of an adult are against the law. Let me make it clear and present your options in simple terms. If you do not immediately cease and desist your efforts to invade Mr. Jones’ privacy, and embarrass and humiliate him with the goal of making money for yourselves with your idiotic “reality” television show, we shall proceed with swift and sure legal action preventing your egregious misconduct and seeking compensatory and punitive damages for the humiliation and intentional infliction of emotional distress your tortious acts have cause and will cause Mr. Jones. Please confirm no later than 5 PM PST on February 2, 2016 that you and your conspirators will cease and desist from your lawless behavior. We have been retained as counsel by the Religious Technology Center (RTC), the holder of Scientology trademarks and copyrights. RTC has learned that you, the internet, have co-conspired with other internets to post these secret OT materials online in order to invade the privacy of Flag Land Base and the MV Freewinds. These OT materials have been used to make money on the cartoon television show South Park and in fake documentaries such as Going Clear. This has been done to engage in Joking & Degrading about Scientology in the most cavalier fashion. Your disgraceful acts, and those of your conspirators prove, however, that you are not capable of being ashamed. Let me make it clear and present your options in simple terms. If you do not immediately cease and desist your efforts to Joke & Degrade about Scientology’s OT levels and my client Captain David Miscavige with your idiotic and juvenile antics, we shall proceed with swift and sure legal action preventing your egregious misconduct and seeking compensatory and punitive damages for the humiliation and intentional infliction of emotional distress your tortious acts have cause and will cause Mr. Miscavige and all of Scientology. Please confirm no later than 5 PM PST on February 4, 2016 that you and all other co-conspiring internets will remove RTC’s OT levels and J&D about Mr. Miscavige and cease and desist from your lawless behavior. No, go on. You start it! Okay, guys. What's the title of this thread going to be and where do we start? That's a juicy morsel there, Victoria. Miscavige a CIA asset? Tell us more. I have seen that before and there's a lot of information, but I do wonder about McClaughry. In an interview on youtube (obviously filmed a while ago) he finds some of the GO tricks rather hilarious such as spiking a pregnant woman's toothpaste with LSD. Now how on earth is that funny? There also seems to be a thinly concealed anti semitic overtone going through his writings too. Cross-posted from another thread about the managers of "Independent Scientology" making their independent flock despise them just as much as ex-Scientologists hate the COS, lol. Millstone Too has done just that: burnt off the goodwill from Slappytown escapees by employing "Standard Ethics" just as ferociously as the average cult 15 year old MAA would. The "ARC-broken Field" is something that just seems to go with every enterprise that ever uses Hubbardspew. The Power of Source indeed !!! I believe you have discovered one of the "Basics" about Scientology--that (despite prodigious amounts of clay) Scientologists somehow never seem to find out about. Here's another closely related, "self evident" Scientology Axiom. 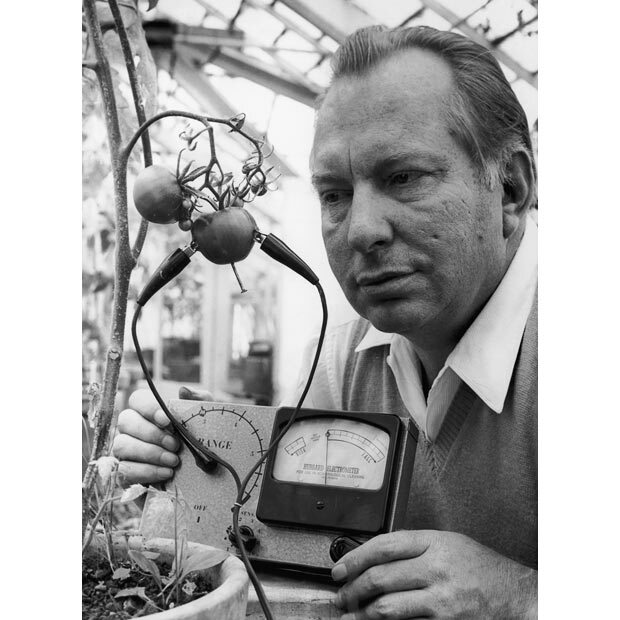 . .
"Scientology, having been conceived by an avaricious sociopath who had "cleared" himself of any vestige of conscience, is inexorably and ultimately destructive to all who fall within proximity of its unreasonable wake. Further, as Scientologists dutifully & dizzily sail their little planet-saving boats 'round and 'round in circles (to provide themselves with a sense of accomplishment)--they are met with the same self-destructive and devastating fate--by sailing directly into their own wake." --Don Hubbard, from his best-selling book "The Problems of Wake". Well, you're the one who said it touched upon a situation in your life and mentioned it needed a new thread so how about "Once upon a time in a Bluebird Motor Home"? 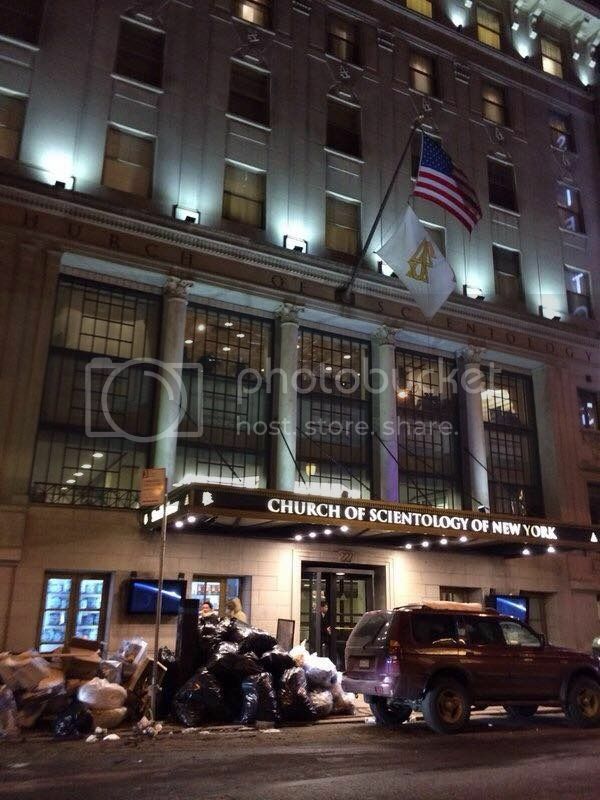 I am wondering why Ideal org New York permits the front to look like Skid Row ?